Robert John Rauch was born on June 16, 1949 in Brookings, South Dakota. The six foot four right hander was originally signed by the Los Angeles Dodgers in 1967 spending two seasons in their organization before getting drafted away by the New York Mets in 1970. He pitched well at AA ball Memphis going 9-4 in 1971 posting a 1.48 ERA. He was promoted to AAA Tidewater in 1972 making 21 appearances going 1-2 with three saves & a 2.72 ERA. That June he was called up to the Mets staff to pitch out of the bullpen. Rauch made his debut on June 29th 1972 relieving Gary Gentry at Veterans Stadium in Philadelphia. Two days later he took a 9th inning loss at Montreal, walking the Expos Ron Fairly with the bases loaded after relieving Tug McGraw. His lone highlight came on September 10th at Shea Stadium in a game against the St. Louis Cardinals. He earned his only career save that day, after putting out the 9th inning fire in relief of pitcher Brent Strom. 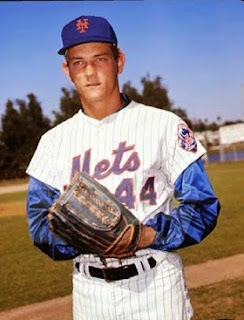 Rauch appeared in 19 games for the '72 Mets posting a 5.00 ERA while going 0-1 with one save. He struck out 23 batters while walking 21, pitching in 27 innings. That November, Rauch was traded along with Brent Strom to the Cleveland Indians for reliever Phil Hennigan. 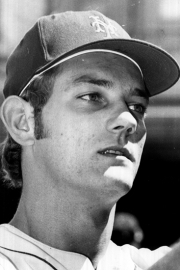 Rauch pitched in the minor leagues through 1975 never making it back to the majors again.